Please I want to know how we can get our company's listing on your portal. How much does it also take to advertise? To get your company's listing on our portal and start uploading your courses on our website, all you have to do is upload your business information using the “Add Business” button at the top left corner of the website, wait for a message confirming your business listing has been activated, sign in with the information provided, then start uploading your courses using the “Add Event” button. You may contact us if you require further information. What does Nigerian Seminars and Trainings do? 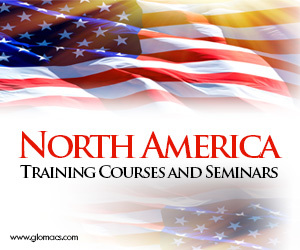 Nigerian Seminars and Trainings provides Information on upcoming training, conferences,seminars, workshop and other learning opportunities in Nigeria and around the world. Nigerian Seminars and Trainings is not a training outfit and so does not train. We are a marketplace for training, a place where training providers can showcase their courses and where intending trainees can come to look for training from the comfort of their homes and offices anywhere in the world. We also provide information (and web links) on training providers, venue providers, training equipment suppliers, event managers etc. Free training search - we help prospective trainees search for courses / training providers free.